After the demise of Nirvana following Kurt Cobain's suicide, Dave Grohl returned with a new band Foo Fighters whose self-titled debut album was released in 1995. Buoyed by the success of singles This Is A Call and Big Me and back up by extensive touring, the album became a big hit. 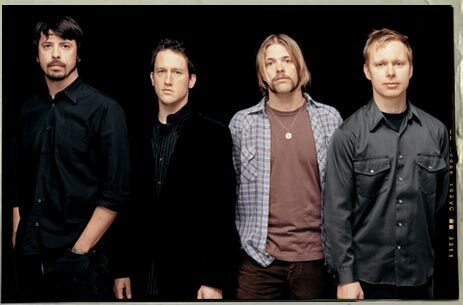 In 1997, the band returned with a new drummer and a new album The Colour and the Shape, which spawned the hit singles Monkey Wrench, My Hero and Walking After You, which also appeared on the soundtrack to the X Files Movie. This album cemented the band's status as one of the world's most popular rock acts and with the release of There is Nothing Left to Lose in 1999, 2002's One By One and most recent album In Your Honour the band look set to maintain their position for many years to come. With an incendiary live show honed on tour with bands like Red Hot Chili Peppers, Muse and Queens of the Stone Age, this is a band that must been seen live to be believed.